A carer who ‘guided the hand’ of her dying millionaire employer as he signed over almost half his £1million fortune to her family has been stripped of the money. Donna Henderson is alleged to have helped retired banker Marcel Chu sign a will which handed her and her children half of his estate. Chu had earlier made a will in 2008, dividing his estate between his immediate family and a close friend. However, the ‘surprising’ deathbed will, dated May 9 2014, just two days before Chu died, left 40% of his wealth to Mrs Henderson and her children. 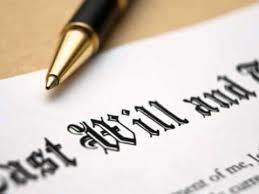 A handwriting expert concluded that the signature on the will was not Marcel’s and the judge ruled that the dying man lacked mental capacity when the document was signed. High Court judge Nigel Price has now ruled the will invalid. Henderson now faces £85,000 in legal costs. Giving his ruling, Judge Price said: ‘The siblings’ case is that the 2014 will is invalid, or that the circumstances of its making were so suspicious that it cannot be regarded as valid…It may be that it is permissible for a testator to be helped in signing a document, but the scope of such assistance must be limited. He added, ‘Although one might have expected a small, or even significant, legacy to be left to a carer, the wholesale change in the will in favour of Mrs Henderson is surprising in all the circumstances.